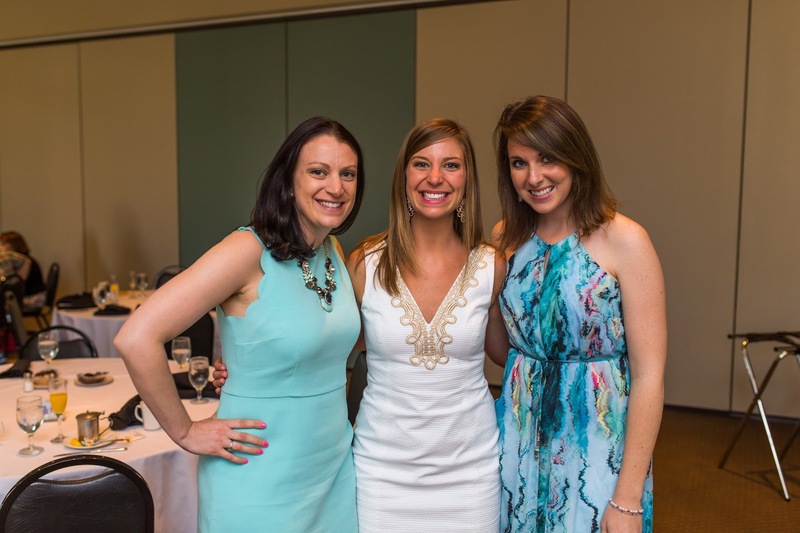 Pictured above: my big sister, Anna, myself in Lilly (here) and my lovely cousin, Kara, at my bridal shower in Youngstown, Ohio. Lilly Pulitzer (d. 2013) represents the epitome of southern belle chic. Her dresses (and patterns, for that matter) embody a place that is warm, carefree and full of soirees. She is known to have quipped, "let's have a party, let's have it tonight." Her floral prints originated because she used to work at a juice stand on her husband's citrus groves. She continually ruined her clothing with the juice spills and stains, so she decided to design something full of colors and patterns to camouflage those spills. With that, the Lilly Pulitzer shift dress was born. All I can say from my own discovery of Lilly P (thanks to Julie and Jackie) is: Oh, SHIFT, there goes my income. Ha! Not exactly. I will tell you some secrets of my Lilly Pulitzer love. 1. First and foremost: NEVER buy a full priced Lilly Pulitzer piece. It's as simple as that. Wait until the twice-a-year sale. One of the sales is right around Christmas and the other is right as school begins (think: late August). Also, try 6pm for last season's steals. Sign up for Lilly P. emails on the website and follow them on Twitter and Facebook to ensure you know about the sales. Below are two of my favorite Lilly dresses with one of my favorite Lilly lovers, Courtney! 2. Lilly Pulitzer dresses last forever. Above: one of my favorite pictures with my Aunt. Aunt Sue, my cousin, Ashley, my sister, Anna, my mom, the bride, and me. This picture was taken on July 20, 2012; I have worn that seersucker Lilly dress so many times since we got it to be my mom's bridesmaids! Above: my step dad and I in March of 2015. Above left: my pals Maria, Mikey and Libby (also in Lilly seersucker pink-- scalloped shorts!) in summer of 2014. Find Libby's great shorts (on sale!) here. Above right: strolling along the Fox River in Lilly, circa 2013. My dress, as you can see, is about 4 years old. However, she still sells a blue seersucker fit and flare that is to die for! And on sale! You can't beat this! 3. Lilly Pulitzer isn't strictly for warm weather! That is a common misconception about Lilly dresses. Throw on some tights and boots, and you have yourself a fall/winter look! Of course, some dresses are more practical for warm weather, but most are versatile into the seasons with the appropriate amount of accessorizing. Think: scarves, tights, boots, blazers and cardigans. Above, left: Lilly Pulitzer black lace fit and flare for New Year's Eve with my girl, Mandy. Old, but here is a similar one! Above, right: throw on a blazer with a strapless Lilly to accommodate the shifts in season. Old, but here is an equally adorable one. Above left: the navy shift dress with navy tights and my Frye boots made a perfect outfit for a November birthday party for my uncle. My sweet cousin, Ashley, and her boyfriend Kevin and best friend, Lorenzo. Above right: I wore the black lace Lilly dress in October for my friend's rehearsal dinner in Indy! It was just the right temperature to be tights-less. 4. The fit of a Lilly Pulitzer dress is epic! It fits true to size. If you're like me, smallish on top with a large booty, the strapless Lilly is a perfect fit every time. Above, left: one of our engagement photos by the extraordinary Meagan Hudak of Blossom Lane Photography. Above right: celebrating my masters degree with a night out! Those gold wedges you see in the photo are also Lilly Pulitzer. They are no longer sold anywhere (I have been trying for years to buy another pair because they are the best shoe I've ever owned), but here is a similar pair. Anna and I bought these wedges for my mom's wedding in 2012, and we have been wearing them to this very day. Above: my mom and I at the White's wedding, October 2013. Lilly has some embellished dresses that are just to die for. Here is a beaded shift. This one is similar to above, but a more updated version: adorable! The embellishments on some of her dresses add an element of dressiness. This may bring back some PTSD moments for devoted Lilly lovers. I will admit, I was in line at the local Target prior to opening, but I bought a few pieces and headed on my way. Courtney, my Lilly-loving pal, totally helped me prep for the sale. We previewed the dresses online and made a plan. Court was shopping in Pittsburgh, but we kept each other posted! It was fun to pick up a few LFT pieces, but there was no way I was elbowing my way through or sprinting to the racks like a customer I saw! Yikes! She took 8-10 items of each style off the racks and sprinted away. Sheesh! Jack Rogers sandals: similar, here. I loved the above pattern (clearly). I also purchased two headbands (pink pictured above) and a phone case. It was certainly an experience! But Lilly dresses for $36? Yes, please! I plan to bring these pieces with me on my November trip to Florida, as we head down to celebrate our step brother's marriage. 6. Lilly is for generations to come; her pieces are heirlooms! Above: Jennifer, Anna, Jackie, me, and Julie at Jackie's Lilly-themed wedding shower in spring 2011. My first Lilly dress was a steal ($60) at the Lincoln Park T.J. Maxx with my darling pal, Julie. It was not in my size, but I thought I'd give it a whirl because it was so affordable and downright gorgeous. It fit! Kismet, I'd say. My stepfather gave me a pair of old Lilly P. golf pants (pictured below) that my extraordinarily talented seamstress turned into a beautiful pillow. They were from the 80's! And still in perfect shape. I plan to pass my Lillys on to my nieces, Godaughter and maybe my own daughters one day. They are extremely high quality and will always be on trend. Below: here I am heading to Jamaica for our honeymoon, Lilly madness ensuing. Popover, similar here. Julie monogrammed that fabulous cooler/insulated beach bag for me: similar, here. My iPhone case can be found here for the 6. Give Lilly a chance; you'll find a sudden urge to want to celebrate (anything and everything)! Pure Barre: Post 1 of 2-- The Class! Pattern Play: Dare to be BOLD!